With so many different landmarks to be seen, Mexico City can often feel quite overwhelming for the first-time visitor. If you want to ensure that you really do see the very best that the city has to offer, here are some of the landmarks that you definitely should not miss. 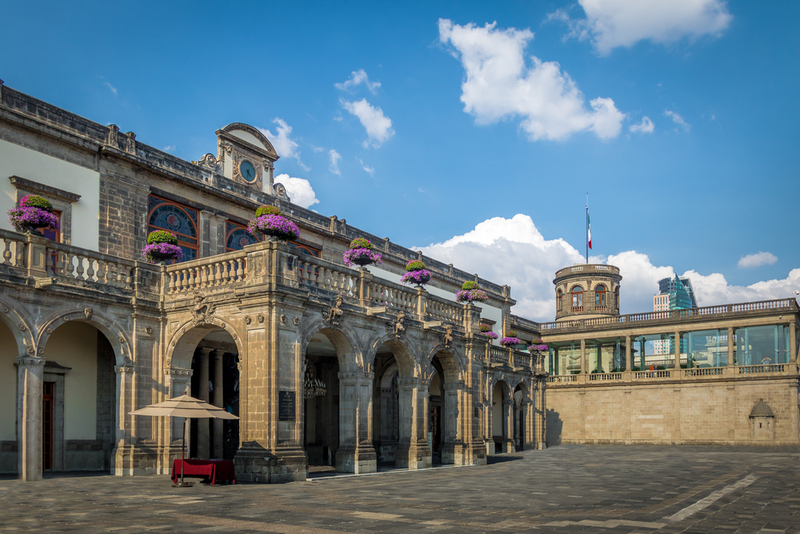 A castle perched at the top of Chapultepec Hill, Castillo de Chapultepec is one of the city’s most famous landmarks. Construction of the castle first began in 1785, and, over the years, the castle has served many purposes. From being a Presidential home to a military academy, this structure has played so many different roles in history. Today, it is home to the National Museum of Anthropology, which is also worth a visit if you have some extra time to spare. The sacred Basilica de Santa Maria de Guadalupe is the third most visited religious destination in the world, and is renowned for its architectural beauty. This Catholic church has long since been extremely significant to the city, and there are free guided tours for visitors here throughout the day. Frida Kahlo has been one of the most iconic artists to come from Mexico, and her former home, which is now also the Museo Frida Kahlo, is definitely a must-visit. Located in the quirky Coyocan district, this museum is a great way to immerse yourself in Kahlo’s life and art, and, if you arrive early to beat the crowds, is a great way to start a day of museum-hopping. One of the most historic landmarks in Mexico City, Templo Mayor dates back to over 500 years ago, and is the remains of the Aztec city of Tenochtitlan. The pyramid-shaped base of the Templo Mayor is huge, and well worth exploring, as are the other ruins that you will find just near to the temple. Also known as Cortez Palace, Palacio de Cortes resembles a fortress, especially since it is sat at the top of a small hill. The castle dates back to the 16th century, and, just like many of the city’s historic buildings, has had a number of different uses over the years. From being the residence of the Cortes family, to a Roman Catholic church, to a prison for the city’s villains, the palace today is home to a museum, where you will find an expansive collection of pre-historic artefacts from the local region. Known as the Latin American Tower in English, Torre Lantinoamericana was once the highest landmark in all of Mexico when it was first built in 1956. Towering for over 180 metres, with 44 floors, this building looms over the historic center of Mexico City, providing a gorgeous birds-eye view of the hustle and bustle below. Mexico City is home to hundreds of different landmarks, and it would be relatively impossible to see them all in a single visit. While this may be the case, the landmarks mentioned above will give you a taster for all that the city has to offer, and will no doubt have you wanting to soon return back to see more.